How do we keep up with all of it? That’s a real question you guys. My approach? I keep it simple. I try not to overcomplicate it all. And I drink a lot of espresso. And so far those two things are proving to work pretty well as a strategy together. And Peet’s Espresso Capsules are making the magic happen. 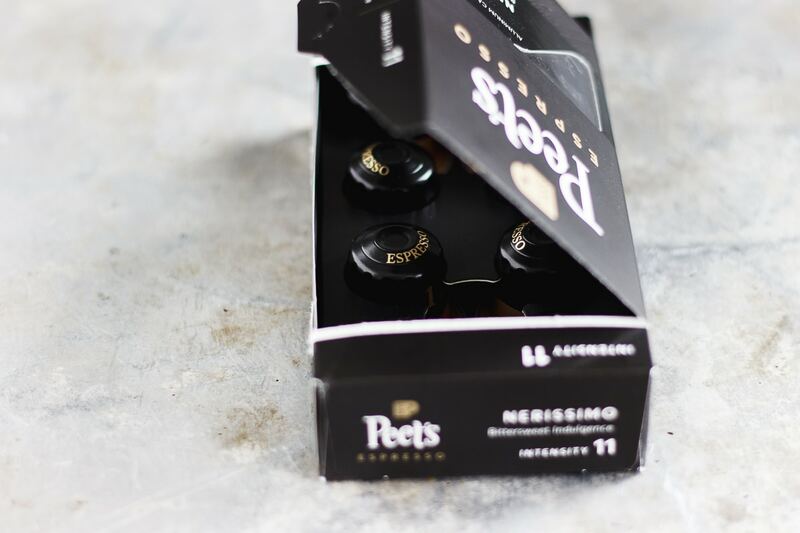 Peet’s capsules are a whole new level of dark, rich, intense and nuanced. 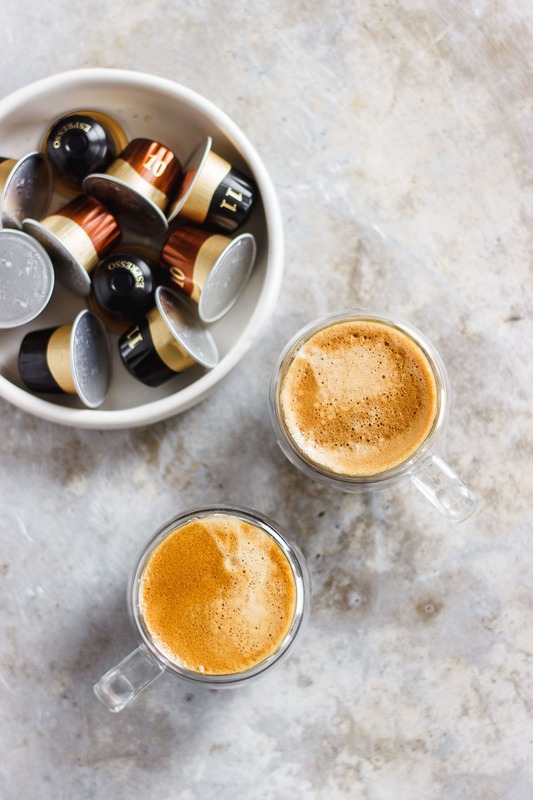 They are the perfect at-home espresso. As featured here, my favorite two varieties I am enjoying right now are the Nerissimo and the Ristretto. The Nerissimo is black as night and sweet as a brûlée topping. It is bittersweet and especially pleasant with a little milk or cream. 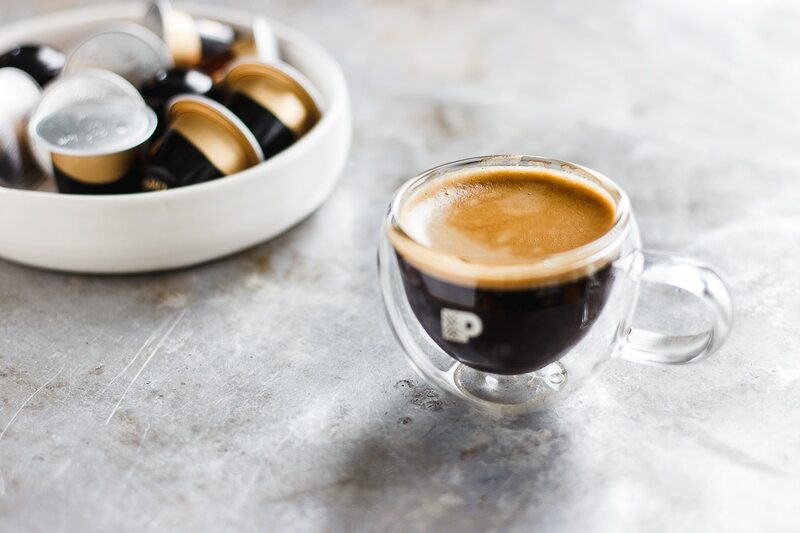 The Ristretto is bold and intense. Like a concentrated short pull shot that is made by your favorite coffee shop barista. It delivers a sumptuous truffle of flavor, showing crushed spice, rich fruit and chocolate smoothness. Peet’s capsules are widely available. I like to purchase mine at Target, but you can also find them on Amazon amongst many other major grocers like Wegmans. 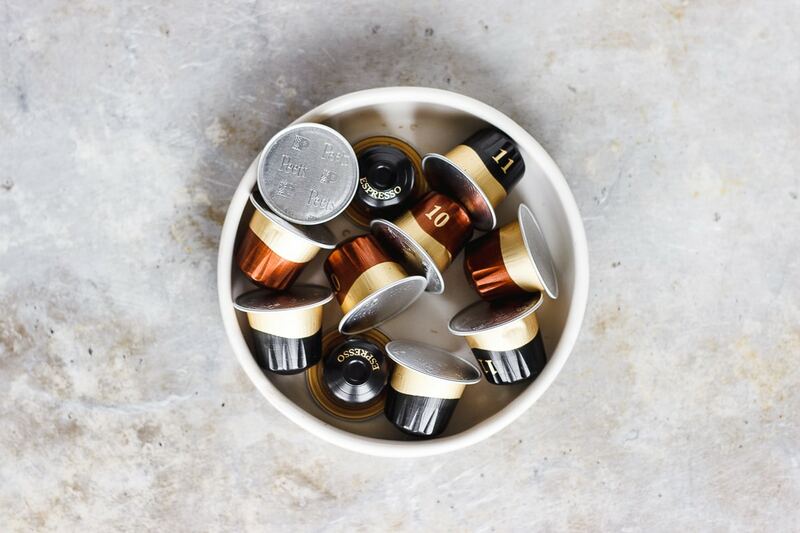 Peet’s capsules are made of aluminum and are conveniently compatible with the Nespresso Original machines. And another way I cope with the holidays is sometimes adding some liquor to that espresso. 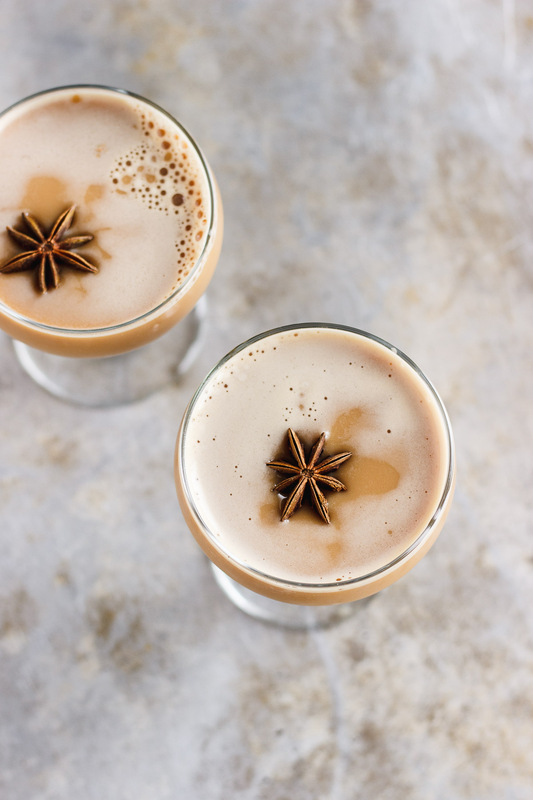 Enter the dirty chai martini. 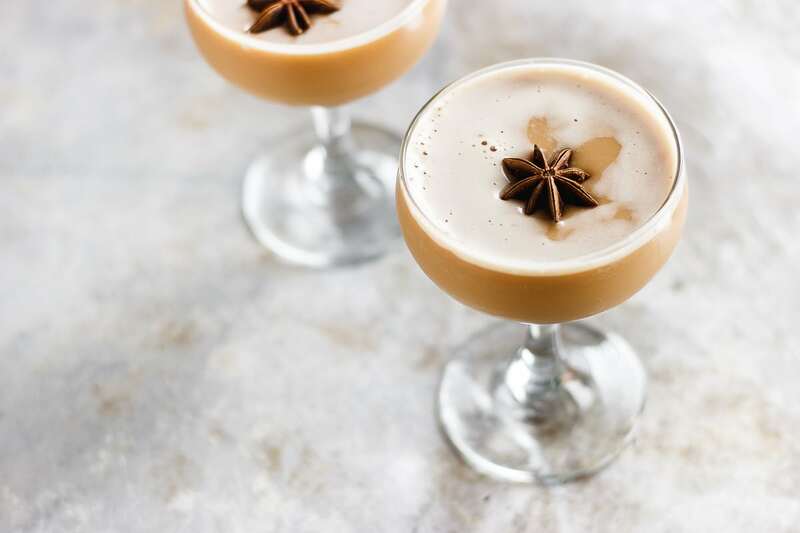 A mix of espresso, chai, unsweetened almond milk (or your preferred milk of choice) that is lightly sweetened with maple syrup and balanced with a pinch of pink Himalayan salt. 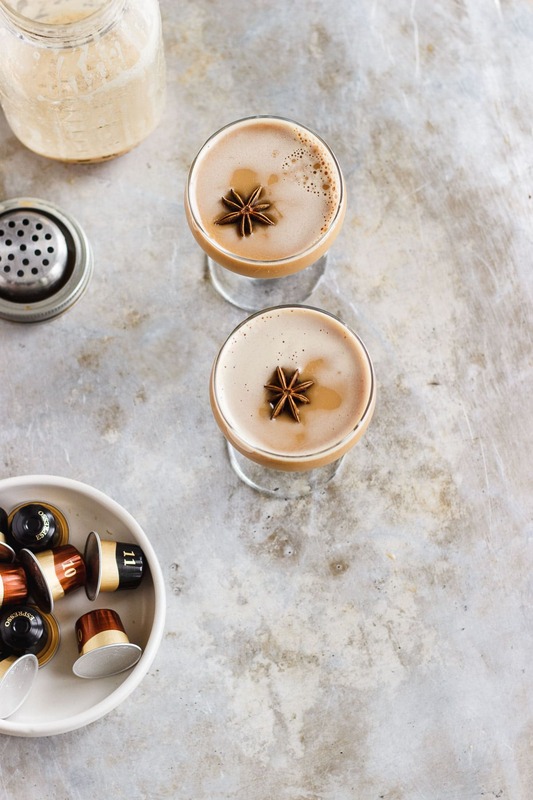 You can serve this dirty chai latte served up or on the rocks. It’s a great after dinner drink or pre-party imbibe. It is a wonderful mix of fall, winter and holiday flavors and as always, very simple to make. Heat the water to almost boiling and steep the tea for 4 minutes. Discard the tea bags, and add in the maple syrup and salt. Stir to combine and set to the side to cool. Meanwhile make 2 ounces of espresso and set that aside to cool. Combine in a shaker the cooled chai, espresso, milk, vodka and ice. Strain into 4 martini glasses, and garnish with star anise. 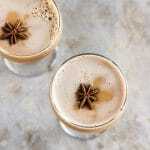 More fall cocktails you will love. This post is sponsored by Peet’s; all opinions are my own.